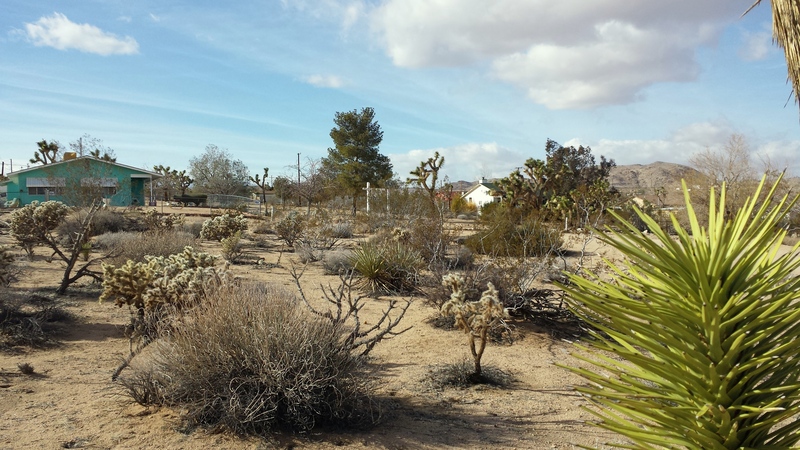 Just 11 minutes from Joshua Tree National Park! 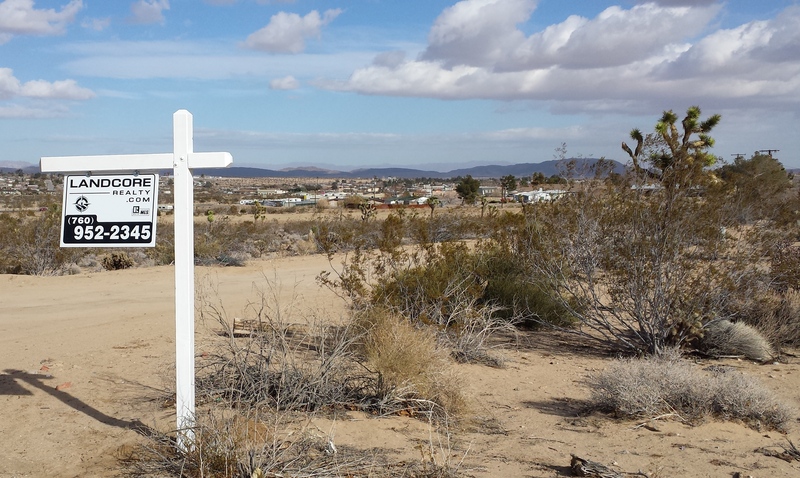 This .55 acres sits on the corner of Outpost Rd and Desert Air Rd. .6 miles south of Highway 62. In just 45 minutes you can be in Palm Springs (33 miles) or take Highway 62, a few miles to the east and you can be in Twentynine Palms. 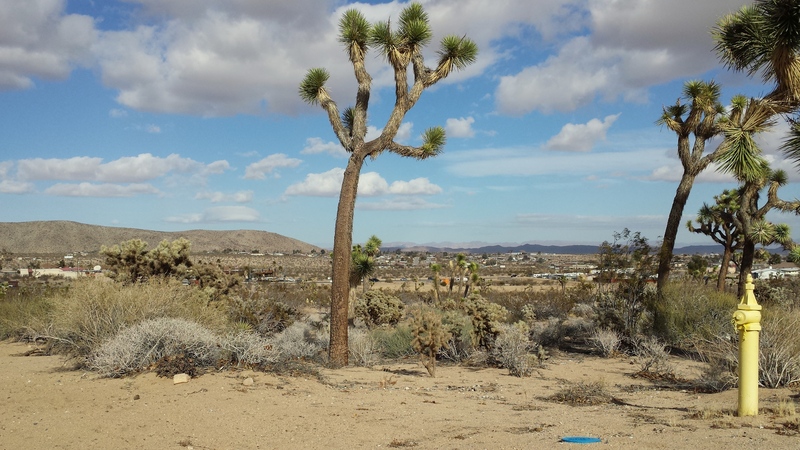 Joshua Tree National Park encompasses 792,510 acres and is open year-round. According the the National Park service, approximately 1.4 million visitors come to the park each year with the peak from October - May, when the desert is more temperate. Visitors enjoy photography, camping, hiking, rock climbing, and boldering at areas such as Black Rock Canyon, Cottonwood Spring, Covington Flats, Indian Cove, Keys View and Skull Rock. Within a 5 miles drive from this property are stores including: Stater Brothers, Marshalls, Petco, Home Depot, Taco Bell, Panda Express, Yucca Valley Family Dental, Storage Solution, Sonic, AMPM, Big 5 Sporting Goods, Sprint, Domino's, 99 Cent Only Store, Tractor Supply and Walgreens. All you need is within a few miles drive! This property is centrally located and ready for you to build your home. The owner of this property is offering to carry the financing, for only $2,500 down you could call this your own! The seller would carry a loan of $5,450 to be amortized at 7% interest for 4 years. Your monthly payments would only be $130.51. Directions: From Highway 62, turn south onto Outpost Rd. and continue for .6 miles. The property is on your left, on the corner of Outpost Rd. and Desert Air Rd. The approximate property corners are marked with 10 foot white poles topped with pink tape. 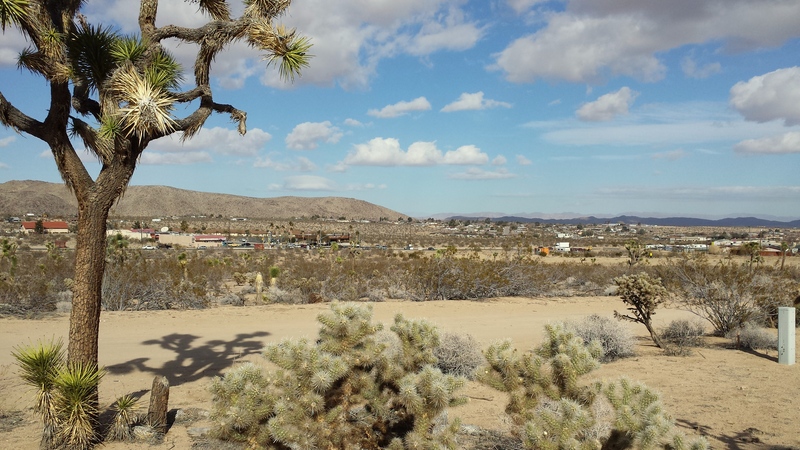 Directions to Joshua Tree National Park from Property: Head north on Outpost Rd. .6 miles, turn left onto Highway 62 and continue for .6 miles, turn left onto Park Blvd and continue 5.2 miles to the west entrance of the park.